Complete your country decorations with a Kraft Seating Chart Garland! 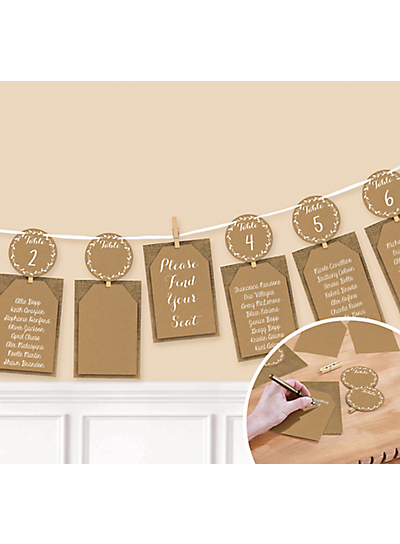 This cardstock and ribbon garland features brown cutouts with attached clothespins to write table numbers on. Also included are brown cardstock cards with brown burlap print mats to write your seating arrangements on. Hang up a seating chart garland at your rustic wedding, country-style party, or Thanksgiving dinner to get guests seated in an orderly fashion!